It’s hard to get back up on that horse again once you’ve fallen off. On my most recent visit to my oncologist, I was told cardio is non-negotiable. The hiatus that I had been on for the past 9 months came to an abrupt halt. OK! I was physically and mentally ready to get back into my old routine. The route I walk takes me through wooded areas as well as suburban neighborhoods. It is the best of both worlds. Sometimes I walk with my friend Bonnie. Often I walk alone. It’s my time to reflect. And pray. It’s my time to think about what I have accomplished in the past week and about the future goals I have set for myself. I walked out my front door this morning for my walk and looked down onto the sidewalk I was on. And just like that, it set off flashbacks from my youth. We did not have sidewalks in my hometown. At least not in my neighborhood or the ones around me. We lived in wooded neighborhoods. Most houses sat on large parcels of land. An acre or so. There were not many fences. One backyard led into the next. There were clothes lines hanging between trees and fresh laundry on the lines. It was a different day an age. As kids, we would walk out our front door and be gone all day long until dinner. There was no Nintendo or Xbox. There were no Computers or Cell phones. There was no such thing as Cable TV. There were no indoor malls. On holidays and special occasions, my family would drive to Chicago to visit my Mom’s side of the family. We’d drive past neighborhoods lined up one after the other. Looking out the window of our wood-paneled station wagon, I thought it was odd that all the houses looked exactly the same. And they were so close to one another. But they had sidewalks. To me, that looked cool. I loved those trips. For as far back as I can remember, I wanted to live in a big city. The city looked so different from where we lived. There were smoke stacks on factories that we’d pass along the highway to our destination. White smoke billowed out the tops. The traffic was busy and fast paced. And loud. You’d see the outlines of the buildings as you got closer. And then, you’d be upon them. They were amazing to me. Just Beautiful. It was exciting and it pulled on my heartstrings. I could imagine myself living in one of those tall buildings. I wanted to work in a city like Chicago. And live there. I thought back on that time ~ and my dreams ~ and continued to walk. As I rounded the side street of my neighborhood, I came upon the little lake. It’s really a retention pond. It leads into the bordering neighborhood. The pond is big. It’s lined with weeping willow trees. The full, sagging branches hang low. They sway lightly back and forth in the wind. You can hear the rustling of the lower leaves as they brush against the grass below them. I love that sound. It’s quiet and peaceful. There was a home were I grew up that had two giant Willow Trees in the front yard. To me, they were the most beautiful trees around. How lucky those people were to have them in their own front yard. I admired the beauty of those trees every time we drove past them. I remember thinking often that when I grew up, I’d have one! I continued past the pond and onto the back roads and eventually into the next neighborhood. Back up onto the sidewalk again. I looked around as I walked. Things had changed so much since I grew up. I passed up fancy swing sets that had forts attached to them. Most of the homes had underground sprinkler systems. Homes had built-in swimming pools in the back yards. There were expensive cars in the driveways. Two little girls rode passed me on their fancy bikes. I thought back to the bikes we rode in the 70’s. Schwinn’s. With banana seats. Wicker baskets on the front. We’d clip cards into the spokes with clothespins. Loud! I thought about our swing sets. They were made of simple metal frames. They held 2 swings and a bar you could hang upside down on. And a somewhat flimsy, metal slide was attached to the side. If you would swing too high, the two front legs of the set would come off the ground. That was always a little scary and a little exciting! There were a few times the entire set tipped over. That’s when your parents would coming running out and yell at you. Fun over! I saw a sprinkler on a lawn I was coming up to. It was the old-fashioned kind my dad had. It was long. And had one bar with holes running along the top of it. It went to and fro slowly. This was the kind we ran through as kids. We had no pool in our yard. Hardly anyone did back then. On hot days we’d get our towels out. Lay on them in the yard. Right on top of the grass. Sometimes on the driveway. 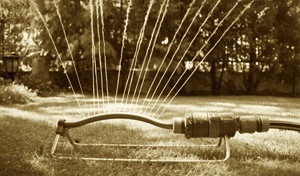 We’d run through the sprinklers when we got hot. By the end of the day the grass was all matted down from trampling on it ~ and partly muddy where the ground was saturated with water. Ahh, good times! I looked up as I got closer to the sprinkler. There was a man standing next to it. He was inspecting the circumference and range of the water. His hands were on his hips. He looked very serious. Every time the sprinkler bar pointed away from him, he stepped up to it, bent over and adjusted the placement a few inches to the left or right. Just like me dad used to do. I said good morning as I walked past and wondered if those few inches really made that much difference. I circled all the roads of my usual path. Passing up groups of walkers. An occasional runner. And, kids on bikes. I walked along the wooded road. It runs along a huge lake. With lots of trees that house lots of birds. I could hear them singing to one another. I could hear the wind rustling the leaves on the trees. An occasional car would pass me up. It was good to be back in my routine. This was one of my favorite parts of the day. Walking. I circled around and came back to the spot where I cut through into my neighborhood along the pond. As I walked past the weeping willow trees again, I heard a faint voice in the distance. Mom. Hey mom! !…Mom, wait up….. I turned around and in the distance I could see my son Brian hustling towards me. He had a fishing hat on. He was carrying a pole in one hand. He called out to me again and waved. I started towards him. He knew this was the path I come back through to get home. Hey! I was keeping an eye out for you. I just started fishing. Want to hang out for a while? Did I want to hang out for a while? *Jackpot!! * Of course I did!!! I took a shaded seat under the tree. Brian stood on the bank and fished. We talked about his week. What was going on with his friends. What he had planned for the next few weeks. He was going to be headed back to college soon. I was going to miss him. As he talked to me, my mind drifted a little. I thought about my hometown. And my childhood. About growing up in a time that was simple. Is “more” really better? Ask any child and the answer will be yes. Ask any adult and the answer will be no. I looked around myself. A warm feeling came over me. There was no other place on earth I’d rather be at that moment, than exactly where I was. I thought back on some of those things that caught my interest when I was young. About the things that fascinated me and the things I found beauty in. As I sat there, I thought how interesting it was that I had indeed settled in a big city. My home on the outskirts ~ in a beautiful suburb. Living in a wonderful neighborhood ~ with sidewalks! 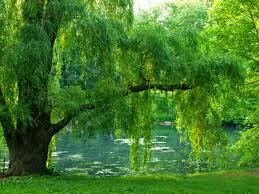 And I looked up over my head….. and wouldn’t you know, I was sitting under a weeping willow tree. Great. So sentimental. Loved it. TY, Clark!! Feels good to be back. Loves it. I’m blessed to have been able to grow up with you in those simple days. Thank You, Belinda! 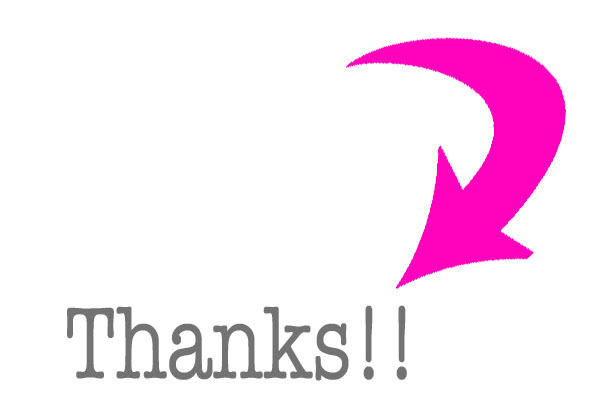 And Thank You for stopping by and reading my blog! I loved it! So glad you’re back. I could relate to the childhood things so much! The swing set, the sprinkler..weeping willows;-) Made me picture my old neighborhood. We did have sidewalks! Good times with chalk, white, no colors yet! Oh! Chalk on the sidewalk!! Yes! And how about 4square and tetherball! 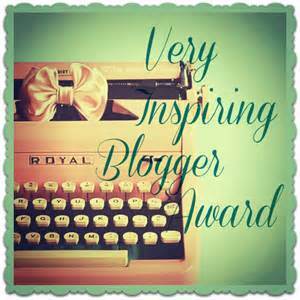 Enjoyed your blog. I think back to the ‘old’ days a lot too. Todays kids/world are really missing out on the whole ‘head outside at 9:00 to come back at dinner time’ idea. Funny, you dream of the big city, I’d prefer to be back in a small town again. You remember the wood paneled station wagon, I laugh about ‘the dodge’. Dad would have been 88 next week. Awwww… I miss Dad. Would have loved for him to have known my boys and Lauren at these ages. wow, what a blast to the past. I see in my mind the old neighborhood, kids on bikes, roaming from home to home. And of course, “THE station wagon” two red seats facing each other way, way in the back. Far ways from the action in the front two rows. No leg room. But it got us there. And of course the sidewalks are still getting us there. Peg, you are a true diamond in the rough. You are loved so very much. I am the luckiest girl in the world to have you in my life, in my heart, as my sister. And yes, Bobby……happy birthday to Dad. This was filled with wonderful, specific and vivid details, from the wood-panel station wagon to the tree-lined streets, and ending with the weeping willow. Beautiful! Im so glad you enjoyed this post. Thank you for stopping by! We so enjoyed taking a trip down your memory lane. But most particularly, the description of the willows as they brushed against the grass in the wind. Beautifully written, it was almost as if we could see and hear it. Nicely done! Look forward to stopping by and reading more. Just read your blog. What memories for me too. Come to visit me sometime. You’ll see the old clothesline out in the backyard between two huge maple trees. I hate them in the fall with all the leaves to clean up, and in the spring with the deluge of helicopters that clog my gutters, but I need them for my clothesline. Don’t know what I’d do without them. This was a fun one to write. The memories of growing up have been swimming around in my head lately. I finally put some of them down into words. Look for more posts like this one to come!! Thanks for the really nice reply, Aunt Nancy!! Reflections … I do this too. I very much enjoyed reading your post. The Botanical Gardens are beautiful. I imagine that Iowa is similair to South Bend ~ where I grew up. : ) Thank you for the lovely comment. Memories are wonderful paths to the people and places we loved in our childhood. Excellent writing. Thanks for the like on my blog, Washington Freak Show. Hope you stop by again. I love the way you describe both your neighborhood and the memories that you experienced. Very detailed – I could picture it all in my mind. Great reading, and I enjoyed it very much!